Don’t miss Fat Bike Saturdays with MORCA taking place February 16th, with the ride scheduled for 12:00 pm. This event is hosted by MORCA (Muskoka Off Road Cycling Association) and rides are scheduled for Saturdays, weather permitting. MORCA will be posting on social media if there are any cancellations due to weather. A waiver MUST be completed at LivOutside before riding, along with purchasing a trail pass. 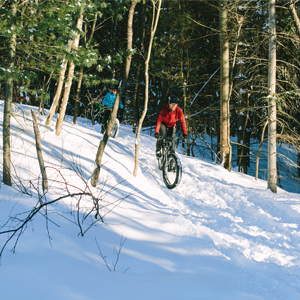 With the purchase of a 2019 MORCA Membership, LivOutside has generously offered MORCA members 50% off seasons passes for the Riverside Bike Park. Don’t have a fat bike? LivOutside has rentals available and at a special $20 rate for members. Please call ahead to reserve and ensure your size is available.